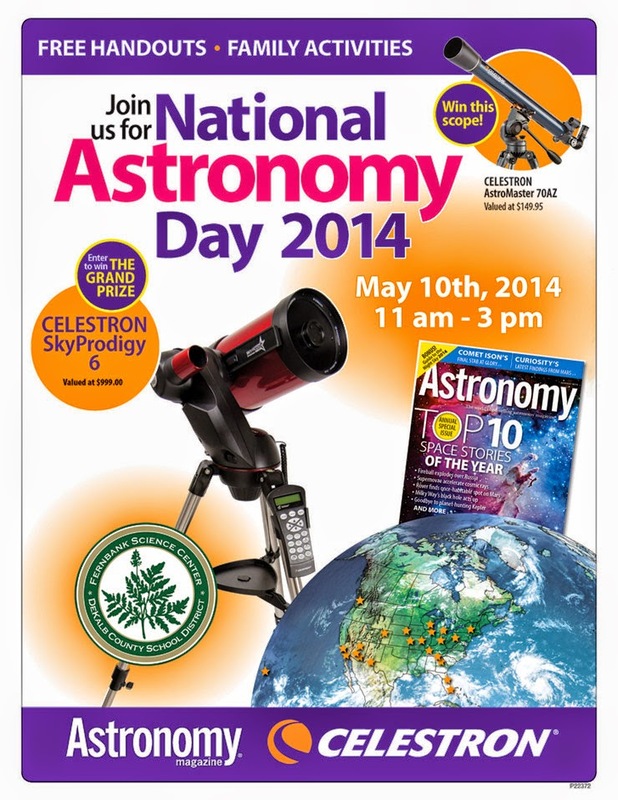 Fernbank Science Center will host a celebration of National Astronomy Day on Saturday, May 10th from 11 AM until 3 PM. This event is open to the public and geared toward all ages. It will feature informational literature, family activities, a chance to win a telescope, and an array of planetarium shows. The highlight of Astronomy Day will be a lecture by Cal Tech’s Dr. Jean Paul Ampuero, a professor of seismology, who will present a lecture on “Earth's Cocktail Party: Deciphering the Physics of Earthquakes With Networks of Seismic Arrays.” Dr. Ampuero will survey recent developments on the use of seismic arrays to provide unprecedented imaging of the development, process, and effects of earthquakes. His talk will focus on implications for our knowledge of how our planet (and others) work. Dr. Ampuero’s lecture, in the Jim Cherry Memorial Planetarium, will be free of charge, with regular admission charged for other planetarium shows.